OUR ASPIRE PROVINCIAL TEAM – OFF TO AN AMAZING START TO 18/19 SEASON AT FCDC INVITATIONAL! Our Aspire provincial team has just returned home from their first competition of the 2018-2019 season. 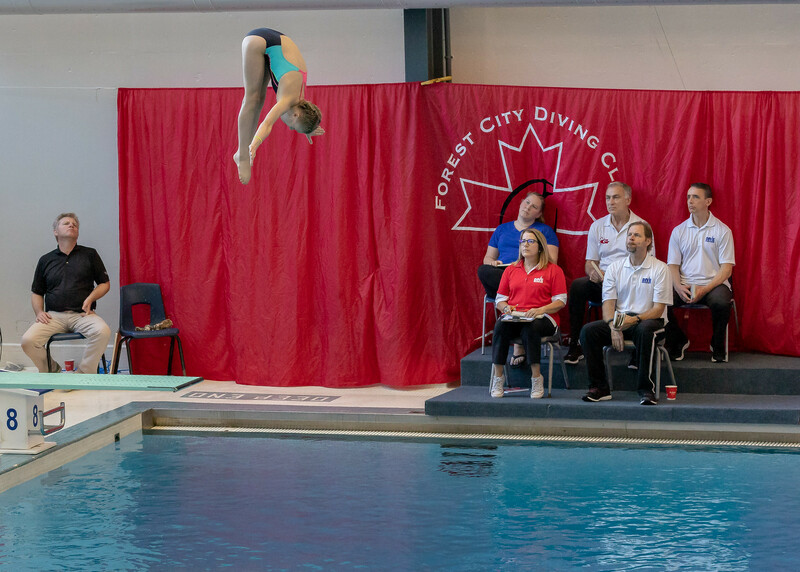 Alongside coach Mary Villemaire, 6 athletes travelled to London, Ontario to attend the Forest City Diving Invitational. 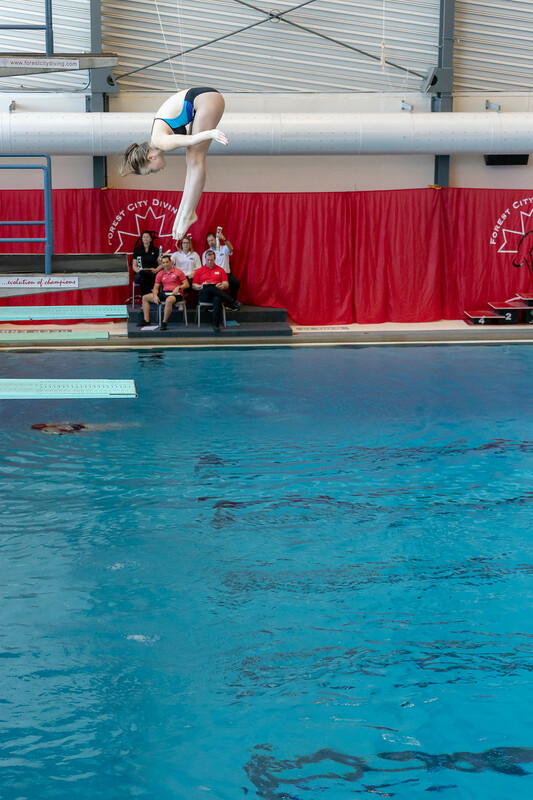 For two of our athletes it was their debut competition and one of our athletes had just moved from Vancouver BC and it was her debut with the Ottawa National Diving Club. All athletes competed extremely well and as a team we returned home with a total of 6 GOLDS, 3 SILVER, 2 BRONZE and a total of 14 TOP 6 finishes! We begin with our oldest. 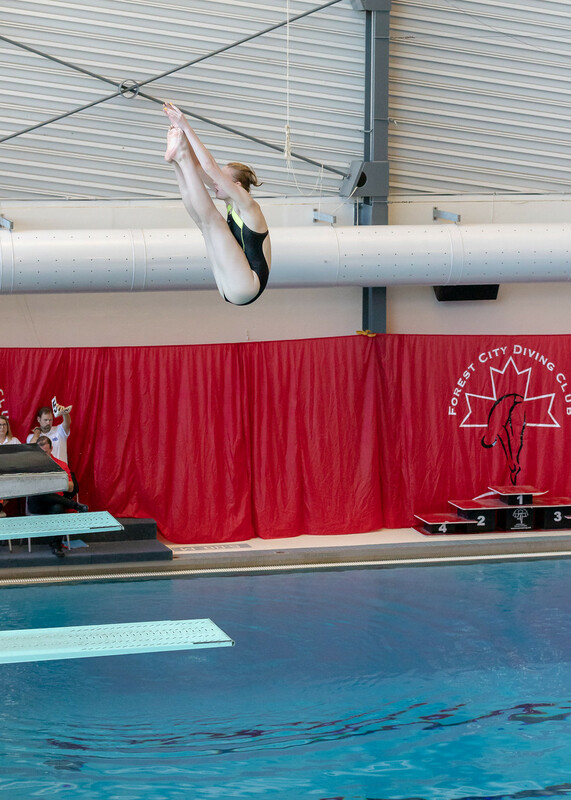 Valentina moved to Ottawa in September of 2018 to dive with the Ottawa National Diving Club. Showing strong potential for the aspire level, Valentina competed on the 1m and 3m event over the competition weekend. She returns home with two SILVER MEDALS and ready to get back in the pool to prepare for the next competition. Congratulations on your 1st competition with ONDC Valentina! Caelly is one of ONDC’s “Veteran” athletes. Still only 13 years old, Caelly is no stranger to competition and is well established in the province of Ontario and she demonstrated that she is one of the top contenders yet again this season. She finished her weekend with two GOLD MEDALS and one BRONZE MEDAL. Congratulations Caelly on another solid weekend! Taylor showed great consistency over the whole weekend. 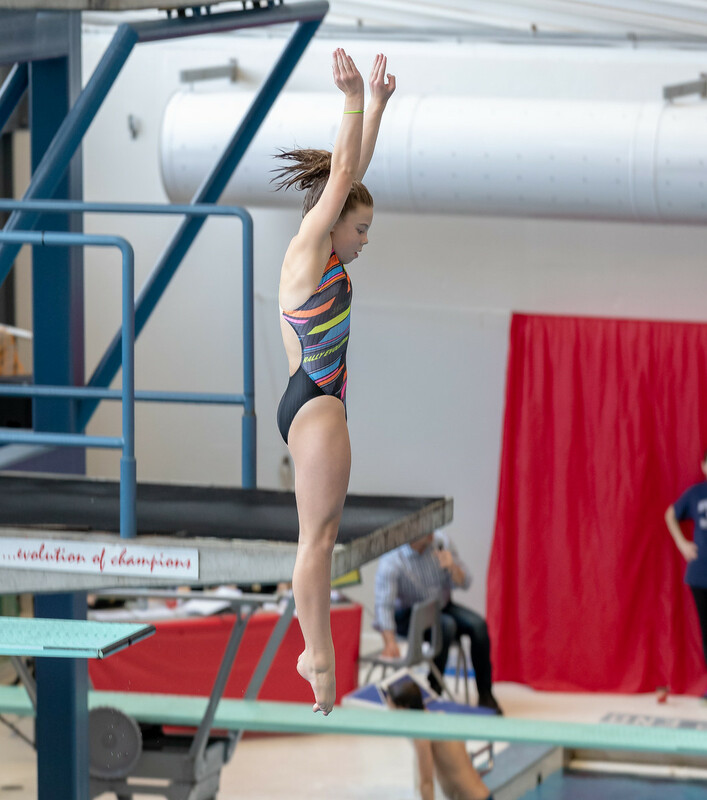 Coach Mary was very pleased with all of her performances and was thrilled she debuted her new front 2.5 somersaults on 3m and finally had the chance to compete on the 7m platform. She needs a little bit more difficulty in her lists but she comes home with a TOP 6 finish on her 1m event. Congratulations on a great start to the season Tay! Ava, one of our newest athletes, took her first crack at the sport of diving. In her first competition she showed great focus and excellent consistency to earned two GOLD MEDALS on both of her events. We couldn’t ask for a greater start! Way to go Ava! Olivia is our second athlete that finished her first ever diving competition. Transitioning from the sport of gymnastics, Olivia showed great potential from day 1. We were thrilled when she completed all the requirements to get her first shot at a diving competition. She finished her weekend with two BRONZE MEDALS and a TOP 6 finish on her tower event! Congratulations Olivia on your first meet! Finally Emilie! Another diver who is no stranger to diving competitions. Even though she is only 10 she has made a name for herself around the province and other clubs know that when she steps on that board she is there to compete! She finished her competition with two GOLD MEDALS and one SILVER MEDAL! She comes back to the pool ready to train and with lots more experiences and memories! Way to go Emilie! A huge thank you to coach Mary for your hard work and determination to ensure these divers perform at their best whenever they travel and compete! A thank you to Forest City Diving Club for hosting the competition and to everyone that helped out at the competition. We begin training for the newly named KW Phoenix Invitational at the end of March!